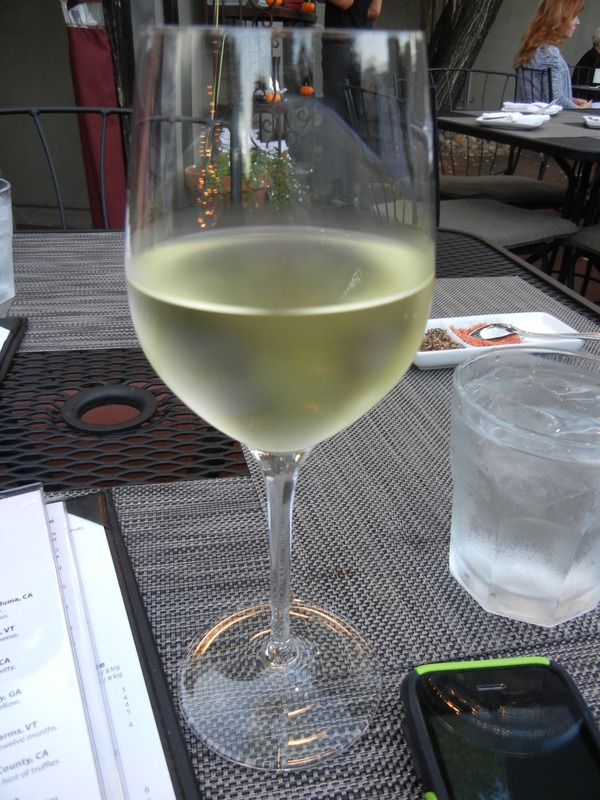 Last night I had my first experience with Willi’s Wine Bar. 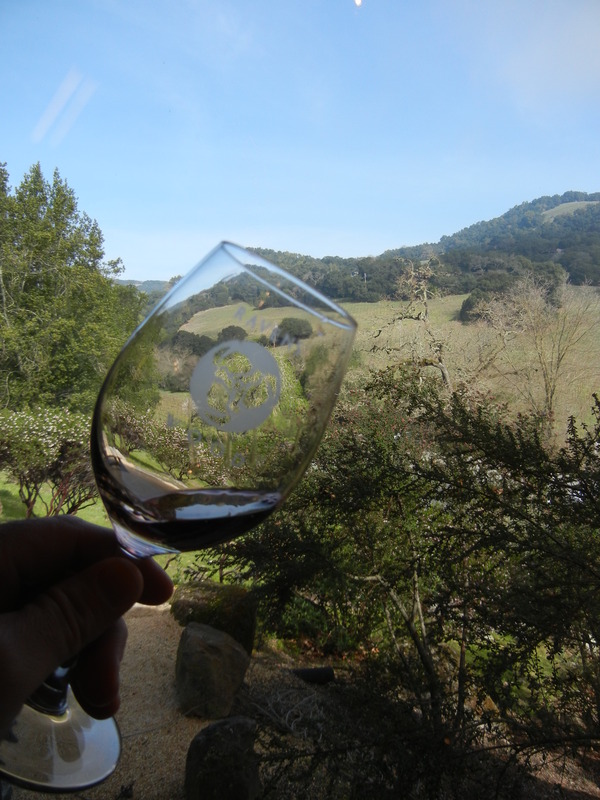 I know, I know I’ve lived in wine country for almost five years – what took me so long? I guess I was just waiting for the right time. 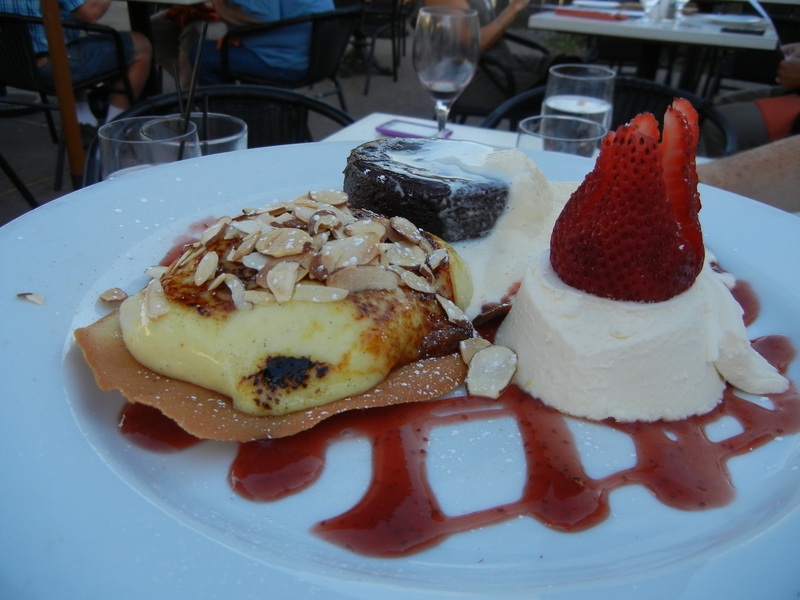 Willi’s is a “small plates” restaurant with a good size wine list. 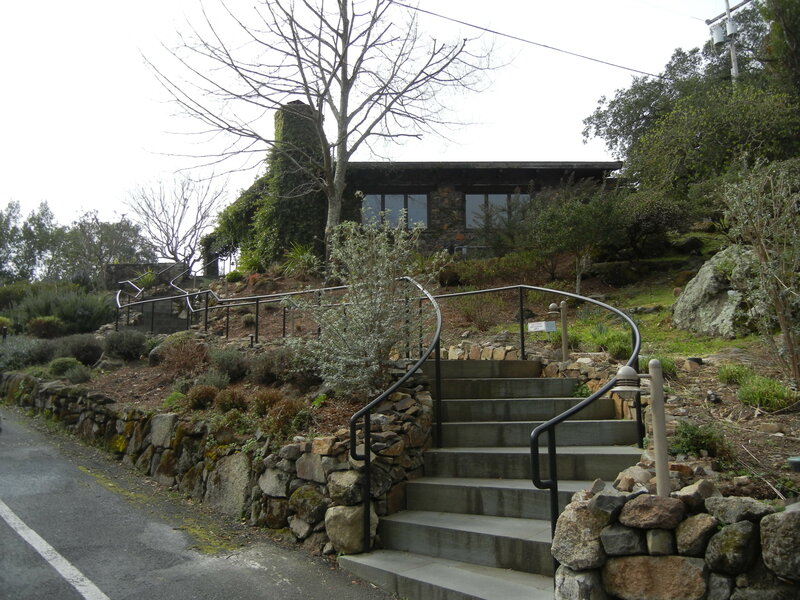 It’s located just off 101 in Santa Rosa, in the eastern part of Russian River Valley. 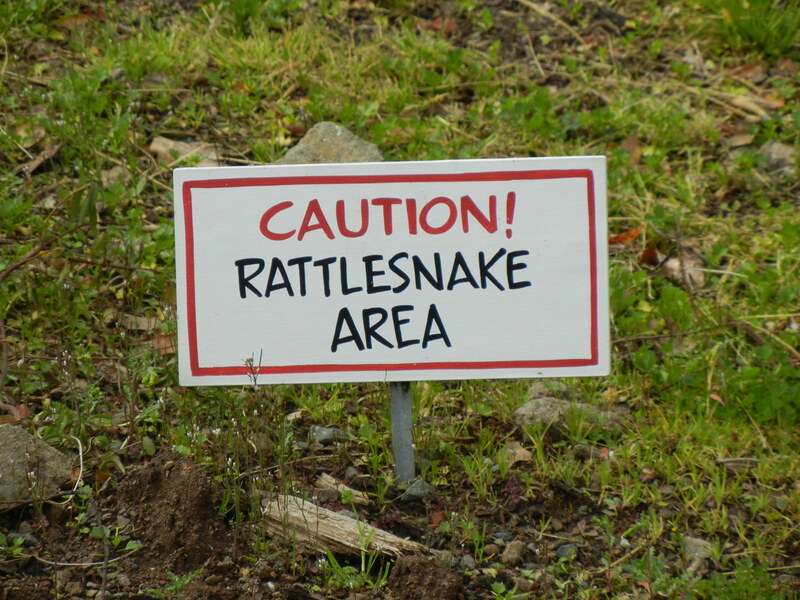 It’s almost located in the center of Sonoma County. 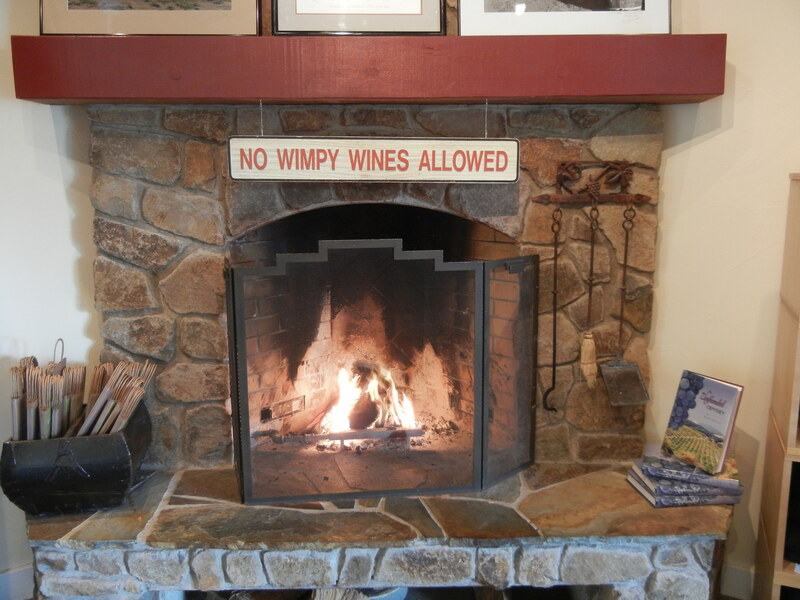 Fitting since they offer wines from all over the area. But the wines aren’t just from the area, they also have wines represented from many countries. I started with this Dr. Loosen dry Riesling from Germany. This wine was lively, full of stone fruit and paired wonderfully with these truffle fries…. 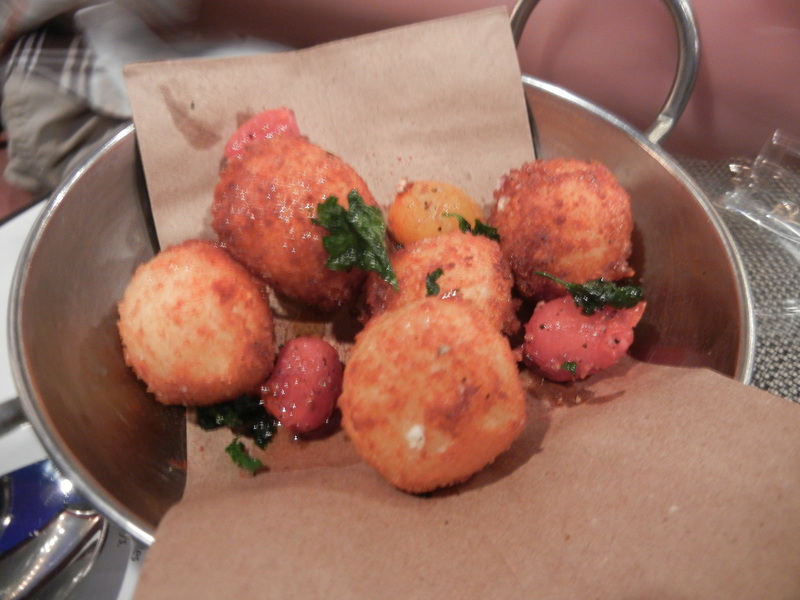 Goat cheese fritters! 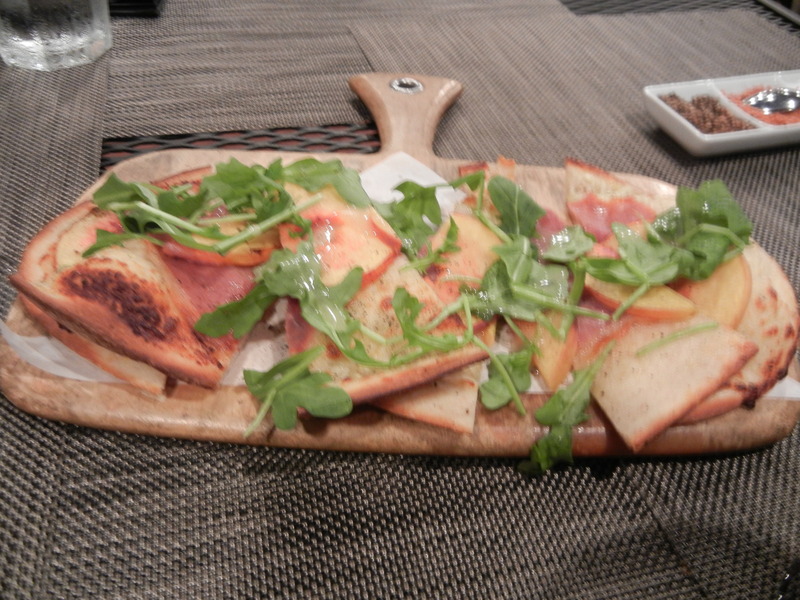 And this black pepper, sliced peach and prosciutto flat bread…. And then a glass of Porter Bass Russian River estate Zinfandel. Somewhere in here there was curried crab tacos, but the savory plate that topped all of them…. 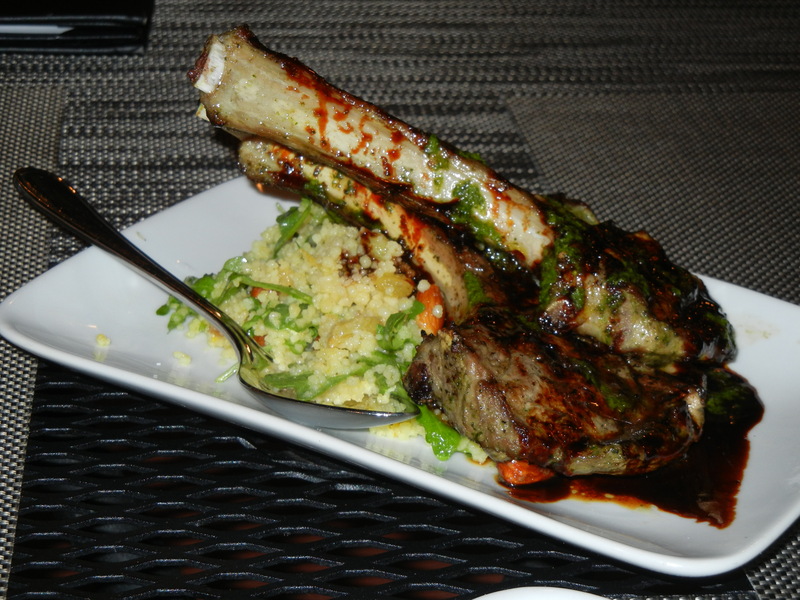 Moroccan style lamb chops with lemon couscous. This was fall off the bone, perfectly prepared lamb. And I know, I did grow up next to a sheep farm. Everything was very well executed and had tons of flavor. Many times when we go out to dinner, we take wine with us, but with the way Willi’s is set up (you can order tastes, glasses, 1/2 bottles or whole bottles of everything on the list), I don’t think I’d ever see a reason to bring wine – there are just too many options! I’m already plotting my return…. 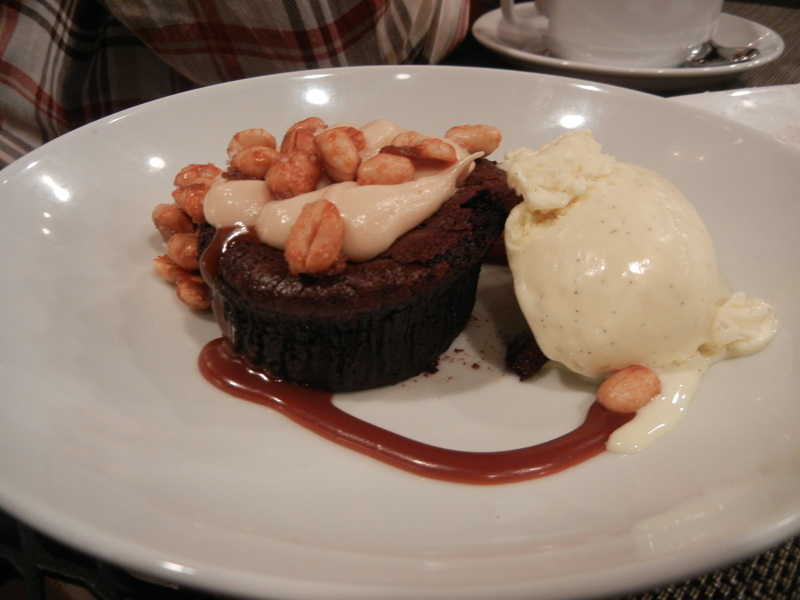 Last night we celebrated my last day at my job by going to one of our favorite restaurants in Sonoma…. 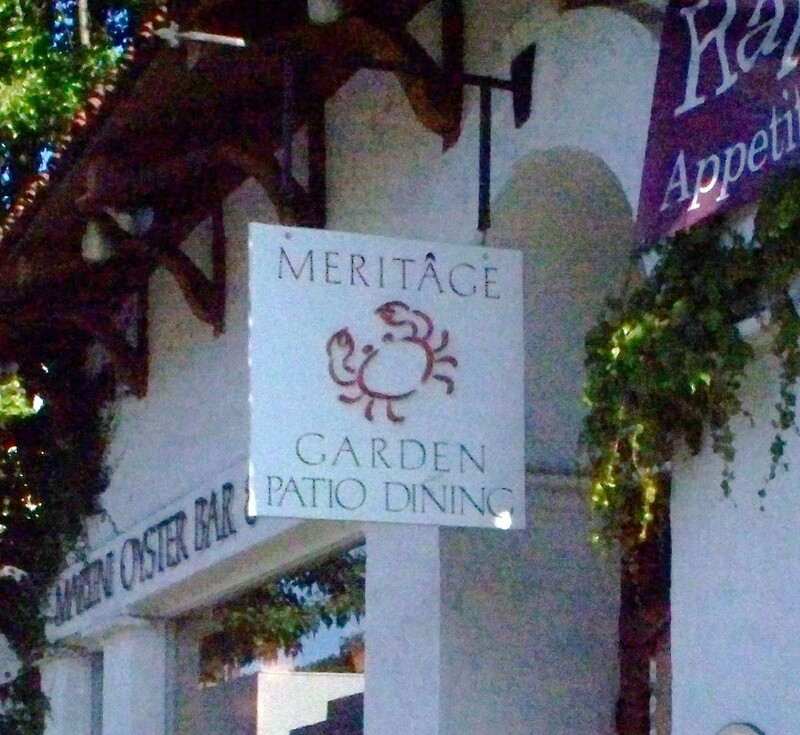 Meritage (Martini, Oyster Bar & Grill), located just steps off the Sonoma plaza has some of the best food in town. The produce used in the dishes is picked fresh that morning (often by chef Carlo Cavallo himself). We almost always end up eating three courses of food here and last night was no exception. 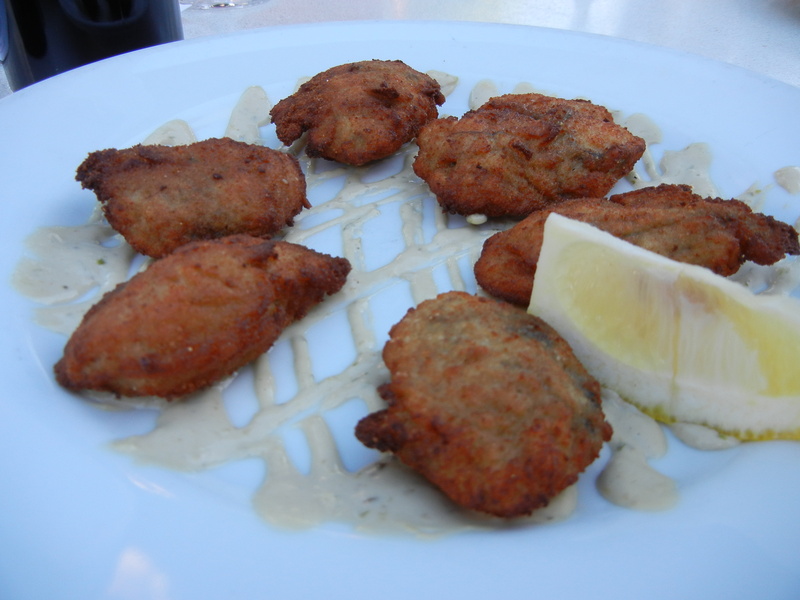 We started with Pan Fried Oysters…. You likely won’t believe it, but I’ve never had oysters before. I figured this was a good way (and a great place) to start. 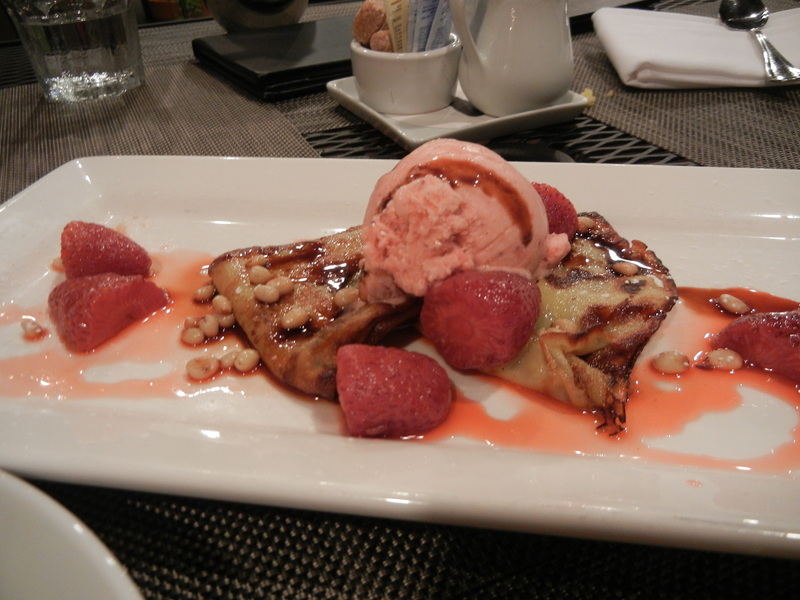 The appetizer did not disappoint. It was very flavorful and the acid from the lemon added a nice brightness to the dish. 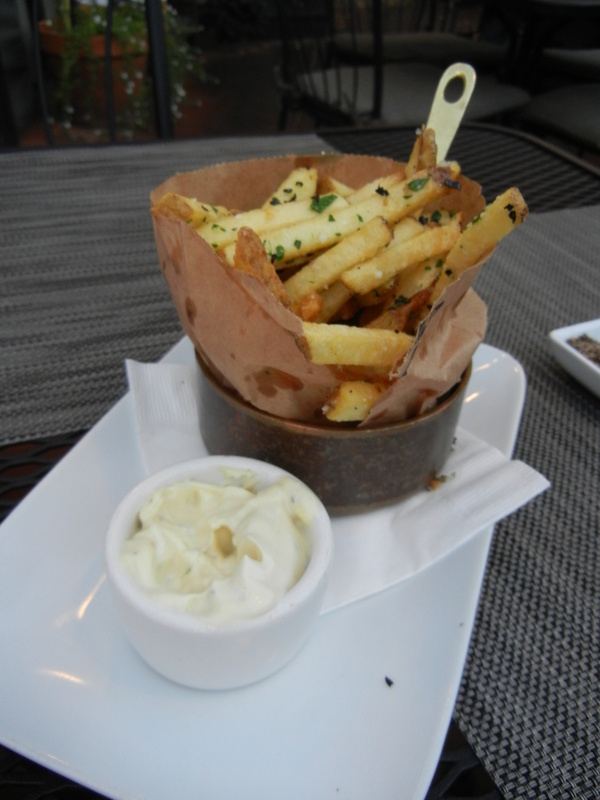 We also had parmesan truffle fries and bruschetta too. Both very tasty. 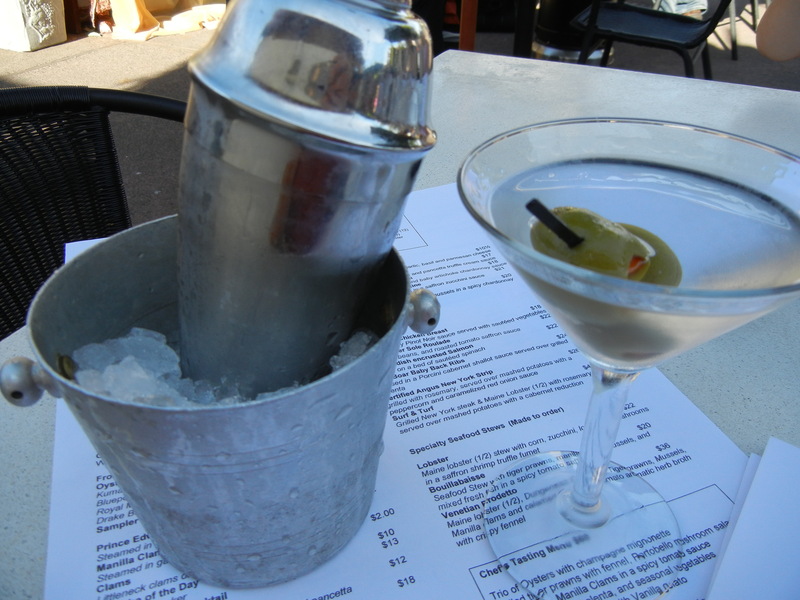 And, of course, I started with a martini (because when you go to a restaurant with the word martini in the name, it’s a requirement)…. This one was a Hendrick Gin martini with olives. My new favorite bar drink. Wait, no wine? Yes, of course there was wine. Two bottles, in fact…. A 2009 Cuvaison Zinfandel from Bald Mountain Vineyard up on Mt. Veeder. These vines are about 45 years old and are producing some outstanding fruit. 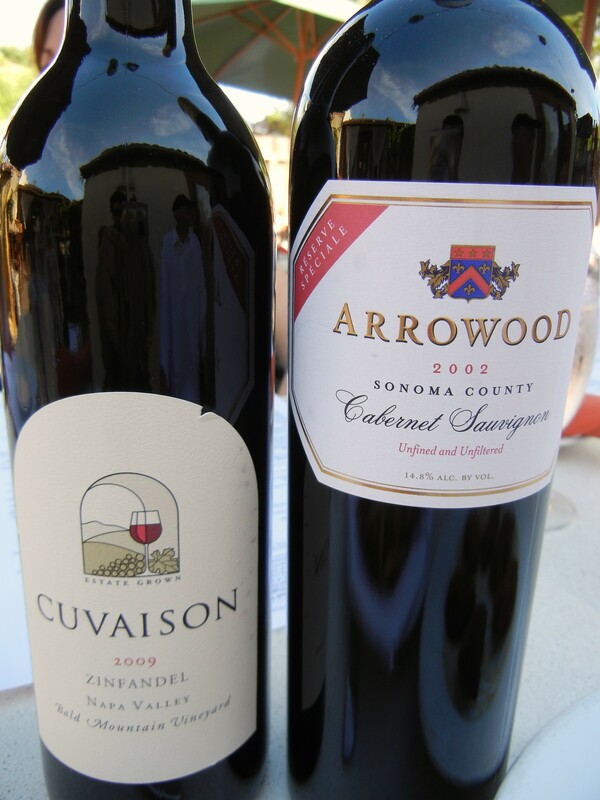 And a 2002 Arrowood Vineyards Reserve Cabernet. Reserve at Arrowood means a barrel select from all mountain fruit. Wine tasting tip: Reserve does not have a legal meaning, so ask the source of the wine what it means for their winery. 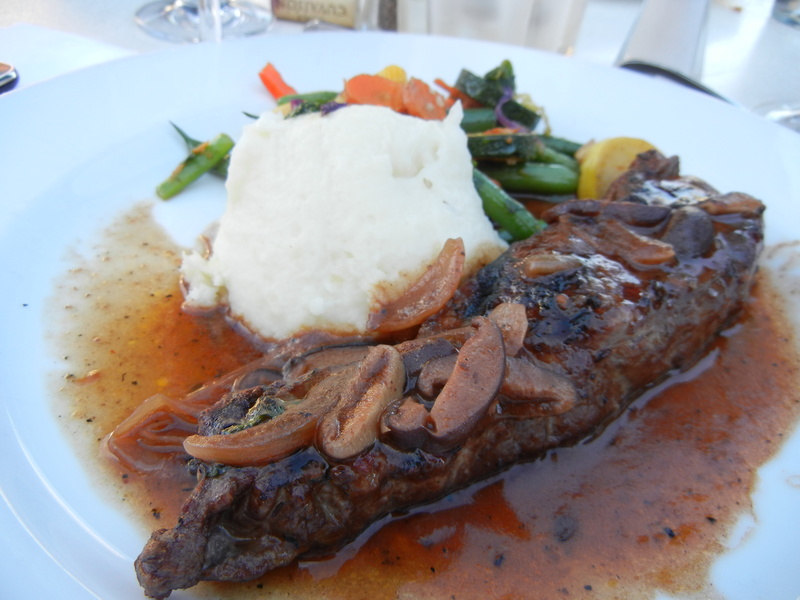 For the main course, I chose a New York strip steak with mashed potatoes and vegetables…. 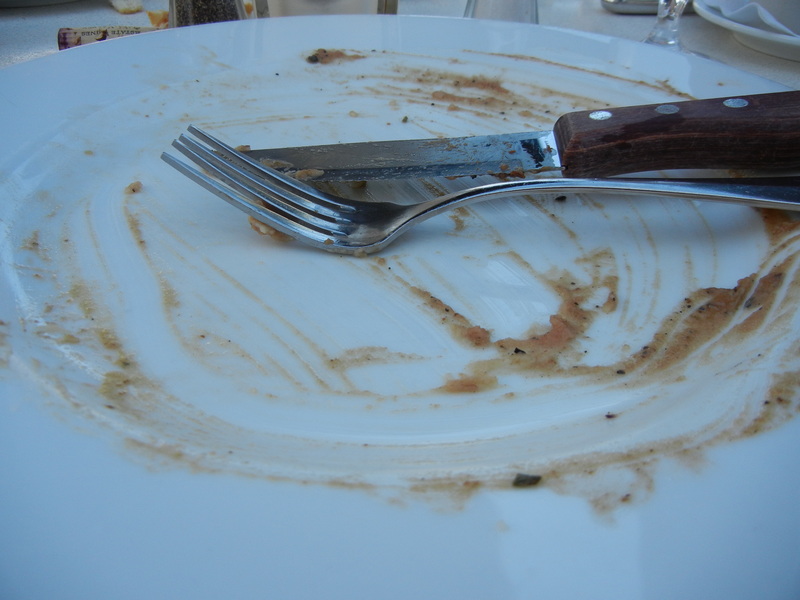 I didn’t like it all…. If only I had thought about scraping up the sauce with one of the pieces of bread. 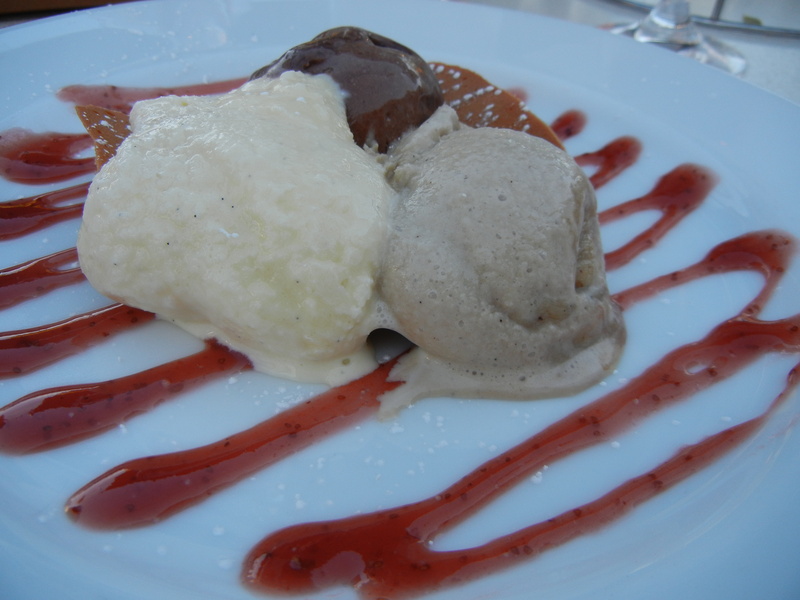 And their version of creme brulee, chocolate torte and panna cotta…. 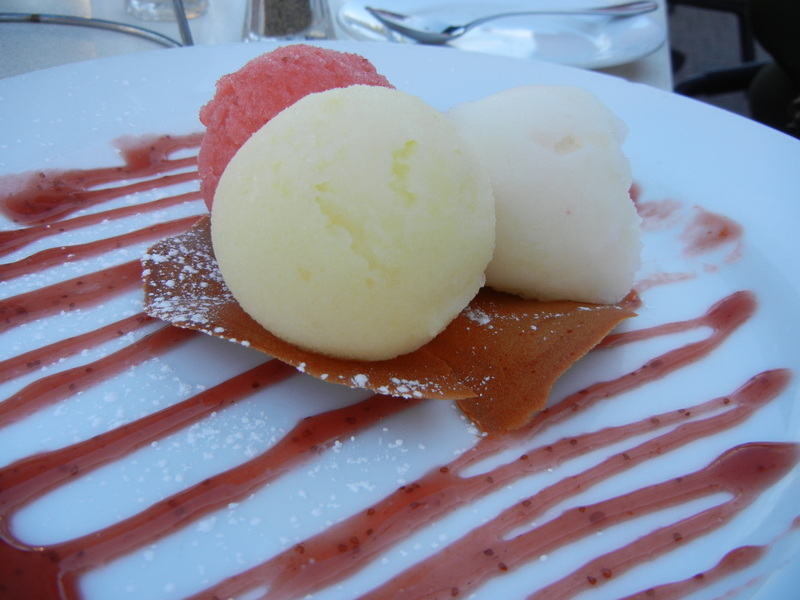 Not to be out done by the refreshing sorbet…. The amount of flavor that Carlo packs into his cuisine is really quite amazing. The food and the friendly staff keeps us coming back again and again. Next time you’re in Sonoma go for a visit. You won’t be disappointed.